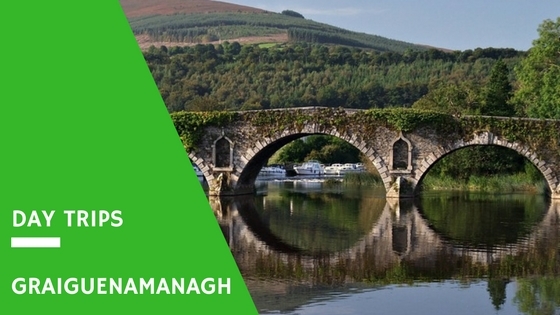 The second destination in our series of day trips from Kilkenny is one of Kilkenny’s most charming villages is the small riverside village of Graiguenamanagh. It is located just a 30 minute drive from Kilkenny City by the border with County Carlow on the River Barrow at the foot of Brandon Hill. It is home to Duiske Abbey, the largest and perhaps the finest of the thirty-four medieval Cistercian abbeys in Ireland. Historically, the River Barrow was developed as a commercial navigation in the mid 1700s and Graiguenamanagh served as the main base for commercial barges operating on the river until barge traffic ceased in 1959. The barges that at one time lined the quaysides are now replaced by some one hundred pleasure craft for residents and holidaymakers alike and it’s lovely to walk along the river bank during the Summer and see the hive of activity on the river. One of the be ways to explore Graiguenamanagh and its surrounds is by bike! Cycling along the Barrow river towpath from the centre of Graiguenamanagh and discover a real adventure for the whole family. The towpath is a flat grass track following the river as it meanders south towards the sea. This safe and traffic free bike trail allows you to pedal at a relaxed pace and experience peace and freedom. And better yet, pack a little picnic for a break on the waterside! Well-known chef and food writer – plus personal friend – Edward Hayden, has become a household name in Ireland and has opened a cookery school in his hometown of Graiguenamanagh. With three classes most Tuesdays, Thursdays and Saturdays covering a range of themes such as family dinners, baking & desserts, soups & breads and curry night – there is something for everyone. They really are a fun way to experience something different and learn some handy tips from a pro! Evening classes are €50 per person (including supper) and Saturday classes are €80 per person (including full lunch). The Graiguenamanagh ‘Town of Books’ Festival started out as a small weekend event promoting books – but, 14 years on it is now a fully fledged festival that features art, music, food and crafts, and a whole host of fringe activities. Of course, at its core the Graiguenamanagh ‘Town of Books’ retains its original vision, to transform Graiguenamanagh, for one weekend only, into a book lovers’ paradise where booksellers are matched up with a number of empty spaces in the town. 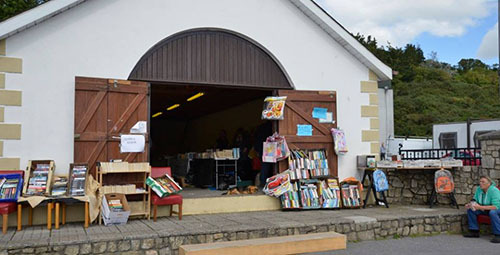 The result is an eclectic collection of books on offer: new and old, bargain and collectible, children’s and specialist, all housed in a variety of units spread around Graiguenamanagh. It breathes life back into empty shops in the town centre, while giving visitors and locals alike the opportunity to browse and enjoy a treasure trove of reading. This year’s festival is on from Friday 25th – Sunday 27th August. First built in 1204 by William Marshall, Duiske Abbey is the largest and perhaps the finest of the thirty-four medieval Cistercian monasteries in Ireland. The abbey is the parish church of Graiguenamanagh Town and beautifully dominates the town centre. Its name originates from the stream that flows nearby and the abbey was populated by monks from Stanley in Wiltshire, England at the time of its construction. The church was restored in 1974 – 1980 and consists of a nave and chancel with an aisle on each side. There is an excellent model of the original monastic settlement, inside the church door, which would have spread over some five acres. In the graveyard to the south of the chancel are two small granite high crosses and a large, imposing effigy of a Norman knight in the abbey interior. The adjacent Abbey Centre also houses a range of exhibits, including several examples of contemporary Christian art. To truly imagine what the church must have been like when the monks lived here, take a look at the chancel, the crossing and the east windows. The church originally had aisles extending along the full length of the nave on the south and the north. It’s free admission and open daily during the Summer from 9 a.m. – 6 p.m. and Winter from 9 a.m. – 5 p.m.
For generations the Cushen family have produced high quality Irish-made textile products at their mill in Graiguenamanagh. They are a an Irish institution and their products are renowned for stunning design using natural fibres. 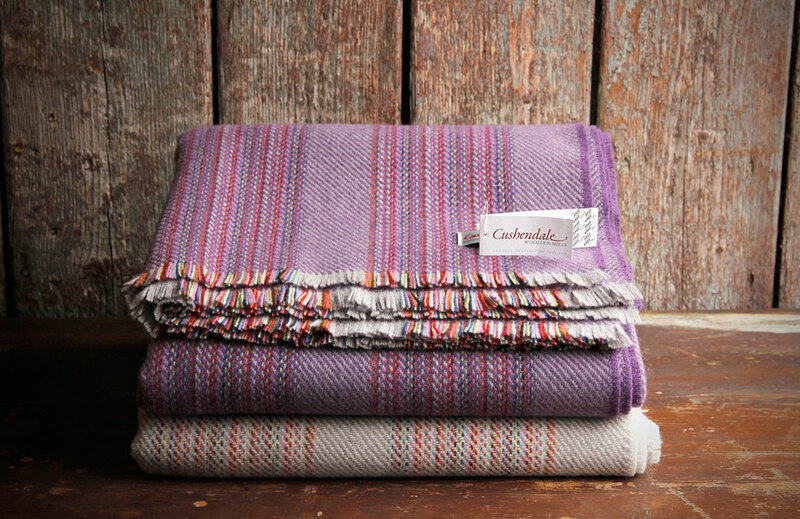 These natural fibres and the skills acquired through many generations enable Cushendale to produce a broad range of home furnishings, fashion accessories, knitting yarns and fabrics. Visitors to the mill shop can view the full range of products which are produced in the adjoining mill. This is a great little treasure trove whether you are looking for a gift for someone or just a little momento for yourself. Well worth a visit. 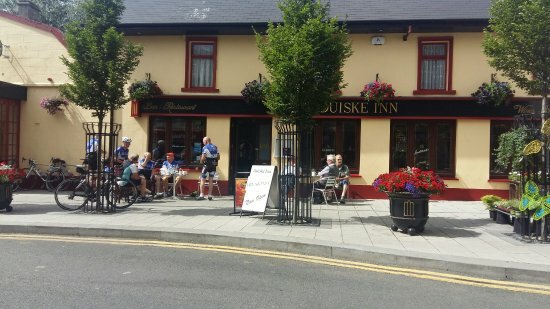 The Duiske Inn is the perfect spot to drop inn for a bite to eat, serving traditional Irish pub grub in a friendly atmosphere that you’d expect in a village pub. 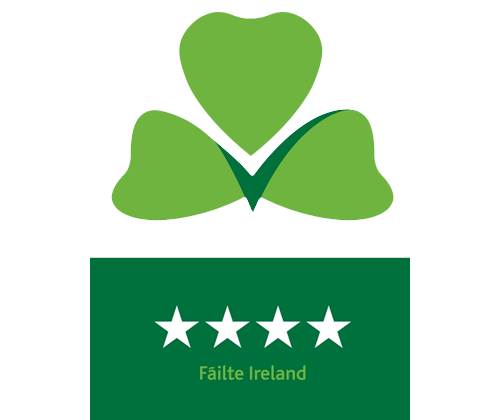 Any of our past guests that have dropped in before have always commented on the friendly staff and the great food. 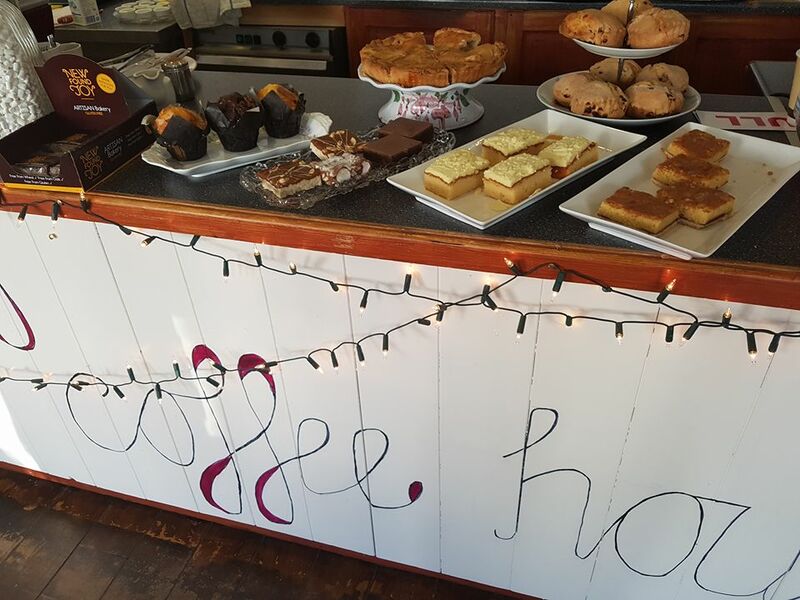 Whether you are looking for a coffee, sweet treat or a full lunch, Coffee on High is a great choice. I normally judge a café by their coffee and their cheesecake and this place ticks the box on both accounts. Not only are their cheesecakes to die for – they really have a talent for producing the tastiest treats. Well worth a trip to spoil yourself!